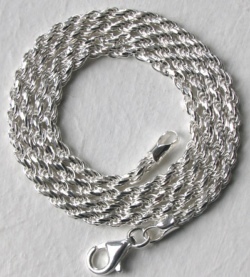 Avaialble in 2mm, 2.3mm, 4mm and 6mm widths and in lengths 16" to 34" here is a definitive collection of Italian silver rope necklaces. 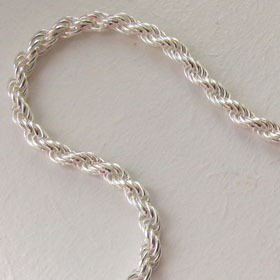 Whether it's to hang a pendant or wear alone, these rope necklaces won't let you down. 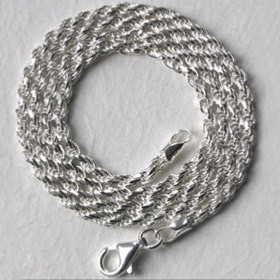 See the matching silver rope bracelets. 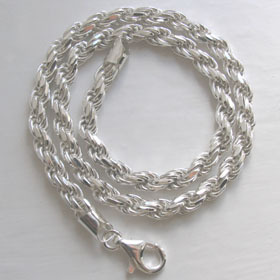 Everyone should have a silver rope chain necklace. 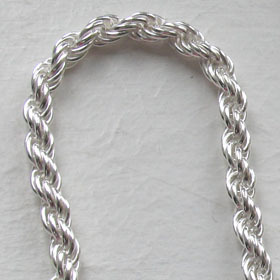 The gentle undulation of the classic rope necklace gives this style character and individuality.